How it all began... Meet Paige Carter, Manti's Newest Deputy. This is a police procedural series. Each new episode introduces a new crime that needs to be solved. 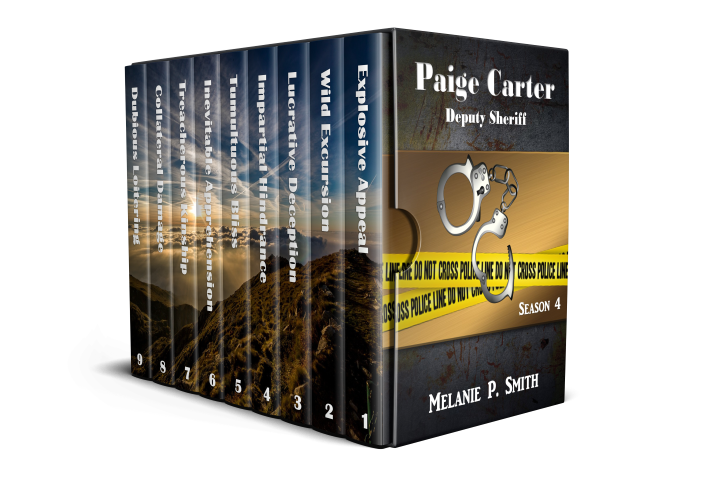 In Season 1, Paige Carter resigned from the FBI and moved to Manti, Utah. She secures a job with the local Sheriff's Office and immediately learns someone is not happy she moved back to town. Season 2 continues to bring a unique blend of criminal investigation, police procedure and human interaction. Paige Carter is still working to rebuild her personal and professional life' one step at a time. Follow her progress as she fights crime, searches for a killer, and tries to deal with the undeniable chemistry she shares with her mysterious neighbor. Season 3… Paige and the group are still reeling from the events of Season 2. The dynamics are changing and Paige struggles to deal with the complex dynamics of those around her. Follow her progress as she solves local crimes, helps to protect national security and works to deal with personal struggles.